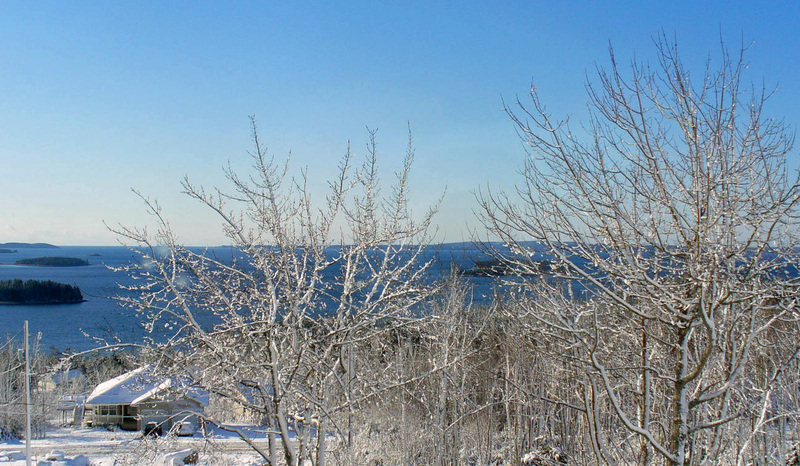 As you can see, winter arrived early in Nova Scotia this year. Luckily we already put away the hammock and shade sail , which we recommend that you do also if you live in a winter climate. Unfortunately, the appointment to get snow tires on my Smart Car is for next week so I am keeping my fingers crossed – no more snow until then. While we do not get a lot of snow here on the ocean, there are areas of Nova Scotia that usually get lots of snow, the Annapolis Valley for example. So we have great skiing – downhill and cross country – about a 1 hour drive from our home. There are lots of lakes that freeze so we get great outdoor skating. Last winter even the bay froze hard enough to skate for miles on- for a few days.